Will resilience training exercises help teachers with stress? About 28 percent of teachers are “chronically absent” (more than 10 school days a year). Stress is linked to many physical ailments, including migraines, asthma, and heart disease. But backers of these programs say that frazzled, emotionally exhausted teachers need coping strategies now, and that need isn’t likely to disappear anytime soon. While it’s hard to say precisely how much stress educators face, experts say the sources of stress have multiplied in recent years, including a constant stream of new reform efforts, ranging from technology platforms to personalized learning initiatives. Related: Can mental health training for teachers reduce preschool suspensions? Among teachers who stay on the job, about 28 percent are “chronically absent” (more than 10 school days a year), according to the most recent Department of Education statistics, which cover the 2015-16 academic year. While teachers can miss work for any number of reasons, stress can trigger a slew of physical ailments, such as migraines, asthma, obesity and heart disease. Indeed, that’s why wellness — eating right, exercising and rest—features prominently in many teacher stress management plans, including the ones developed for the Atlanta schools working with Georgia State University’s Center for Research on School Safety, School Climate, and Classroom Management. 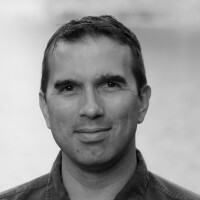 Santoro, who published a book last year about why teachers quit, said school reform initiatives often rely on prepackaged curricula, for example, that rob teachers of the flexibility to adapt lessons to students and find creative ways to engage them. Frustration can build even when teachers agree with the premise of a reform. The attention now being paid to teacher stress sprang from the recent and growing focus on student stress and its impact on learning. The Center for Resilience, for instance, offers teachers a two-part training — first, building their own practice of mindfulness and self-care; then, a second round to help bring mindfulness to their classrooms, with breathing techniques, glitter jars (which students shake and silently watch settle) and other practices such as body scans (closed-eyes focusing of attention on different regions of one’s body). Lopes, the fifth-grade teacher in Providence, credits mindfulness with a big drop in student behavior issues, and for helping de-stress her own hectic life, which includes two kids, elderly relatives she cares for and additional work hours at her after-school program. Studies also suggest that lower teacher stress improves student learning. In 2017, for example, University of Missouri researchers compared students’ behavior problems and their math and reading scores with their teachers’ self-reported stress levels and coping abilities. Students with low-stress teachers had the highest test scores and the best behavior. What’s more, in classes led by highly stressed teachers, students’ behavior and math test scores got worse when those teachers reported less ability to cope with their stress (there was no significant change in reading scores). Related: A cheaper, quicker approach to social-emotional learning? “I suspect the relationship is reciprocal. They build off each other,” said the study’s lead author, Keith Herman, who wrote the book “Stress Management for Teachers” (2014) with study co-author and fellow education professor Wendy Reinke. “I spent many years observing classrooms, and what I saw blew my mind,” said Jennings, recalling a period earlier in her career when she helped young teachers improve their classroom management. “The teachers’ own stress levels and emotional reactivity were causing problems in their classrooms.” Emotionally exhausted teachers were more likely to overreact to minor student stumbles, and such reactions spiked student stress in turn, leading to more discipline issues, and so on, spiraling downward. “You can’t learn when you’re stressed,” said Jennings. With adrenaline and cortisol coursing through your veins, you can’t think deeply about a problem, or immerse yourself in a book, which is partly why schools have been adding “social-emotional learning” lessons to help students cultivate empathy, resolve conflicts and manage their emotions. But, it’s hard to calm kids down with stressed-out teachers. To that end, Jennings has spent more than a decade working with colleagues on a 30-hour mindfulness-based professional development program for teachers called CARE (Cultivating Awareness and Resilience in Education). 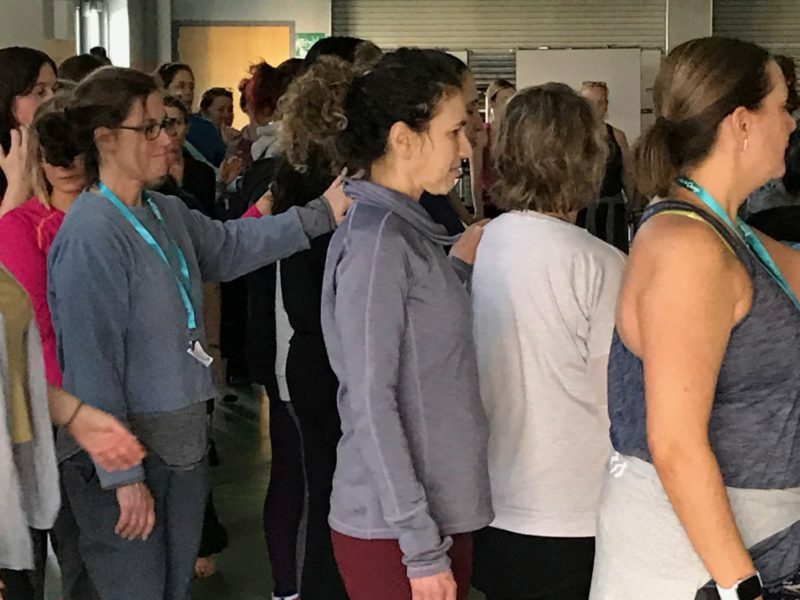 As part of the training, stretched across several weeks, teachers explore the cognitive and physical links to their emotions in order to better regulate them, and they role-play stressful classroom situations to practice mindful responses. Early on a recent Saturday, about 100 Boston-area educators filled a local high school cafeteria that had been cleared of tables to make space for yoga mats and was softly lit by a winter sun. The gathering was part of a 200-hour training in mindfulness, meditation, yoga instruction and community building offered in several cities by a company called Breathe for Change, based in Madison, Wisconsin. 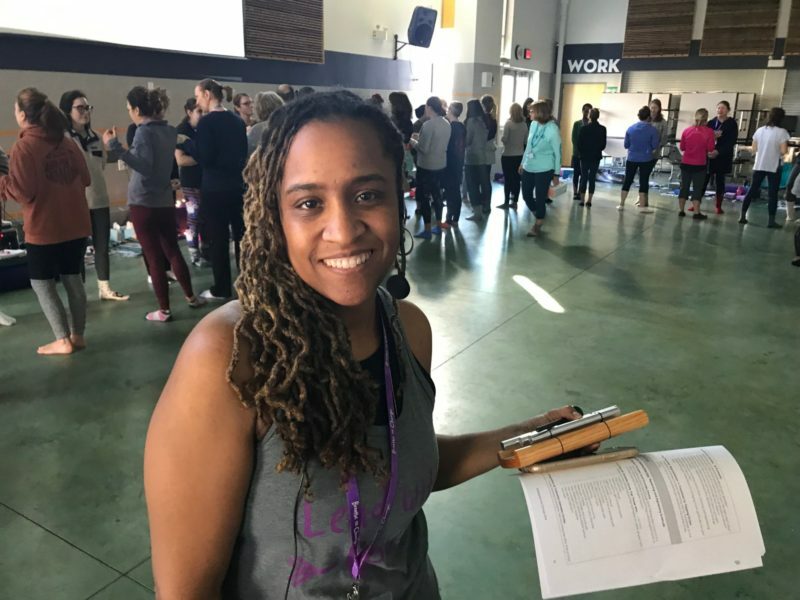 That Saturday was the fourth of 18 sessions in the Breathe for Change program, and the lead trainer, Tui Roper, announced that the day’s theme was gratitude. “As teachers, we have trouble accepting gratitude. We brush it off a lot: ‘This is our job.’ And so, we block that gift of gratitude,” Roper told the assembled, before instructing half of them to form an inward-facing circle and close their eyes. The rest of the teachers paced silently around the circle’s perimeter, and every minute or so Roper prompted them to touch the shoulder of anyone who had inspired them, taught them something, brought them joy or whom they loved, et cetera. As the shoulder touches continued, a second trainer walked inside the circle with a box of tissues as, one by one, the teachers gave in and cried. Later, during a break, several of the teachers explained why they were there. Some said they were struggling to help students who were experiencing poverty or other trauma. “We need to be not only teachers, but social workers, and nurses, and mommies, and daddies sometimes,” observed Danita Kelley-Brewster, assistant principal of Boston’s Charles H. Taylor Elementary School. Still, some education experts question the focus on teacher resilience. Backers of resilience training say it’s a matter of triage, and they need to help educators who are struggling right now. Indeed, the large crowd of teachers at the Boston training was testament to the growing demand for coping skills. Not only did the participants give up several months of Saturdays, but most of them paid the $2,650 tuition themselves (Breathe for Change offers needs-based scholarships). 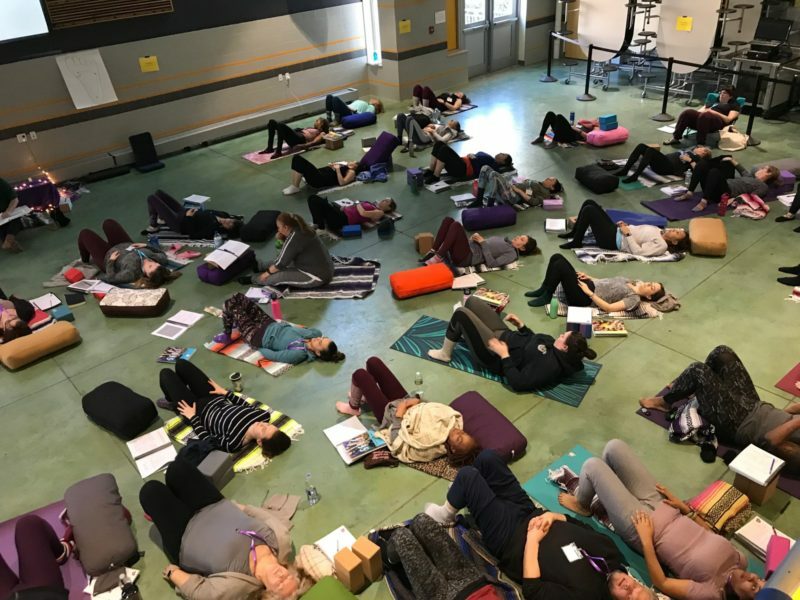 At Breathe for Change, the focus starts with the “transformation of self,” then broadens to a focus on “transformation of relationships” and the “transformation of community.” During a midday break at the Boston training, teachers sat on their yoga mats and ate packed lunches. Leaning against a wall, Martinez, the Worcester English teacher, looked forward to the outward-focused sessions, but was happy, for now, to give her own psyche some TLC. She recalled the first Saturday of training, when she walked in not knowing anyone.